Find My Workspace lists over 95% of the business centres market in Enderby. Simply click Request Quote to check pricing for one office, or Add to Basket for multiple offices. The centre is based in Enderby, in a modern building with secure rooms for every tenant. 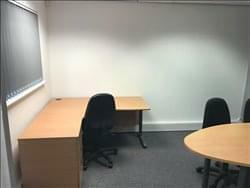 The centre has four secured suites for multiple tenants and each room is furnished with two/three desks and chairs if needed. There is also full wheelchair access and disabled toilets, WiFi and CCTV. Located in a modern building, this centre comes with secured rooms for each tenant. The rooms layout is open plan giving total flexibility to potential tenants to layout your suite exactly how you want it and bringing a sense of independence to your office. The centre comes equipped with full wheel chair access to the ground floor and disabled toilet facilities. There are also kitchen facilities within the centre and allocated secure car parking. 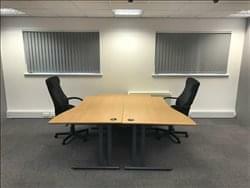 There are also a range of other amenities to take advantage of, including 24 hour access, board room facilities, CCTV, a café onsite, postal facilities and WiFi.